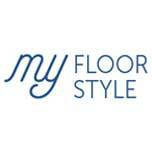 Looking for flooring in Vaughan, ON, Canada? You need look no further than GTA Flooring for your whole project. From selection and measurement to installation, we do it all, simplifying the entire process. You can come in with the comforting knowledge that we can certainly find the perfect floor for you and match your décor, because we do that for our customers every day. Never underestimate what new home flooring can do. The right material and color can complete a theme like nothing else can, and one that’s low maintenance can save you both time and money. With all of the different patterns and shapes, you can easily get as creative with a floor as you can with a wall. Our brochures, free app, and showroom displays make that possible as well as easy and enjoyable. Why Buy from Our Flooring Store? At our business, we’re about much more than merely selling floors. 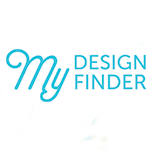 Our experts are also highly trained and experienced in interior design. We know how to coordinate colors, match your tastes, find a floor for any theme, and give you an idea of how it will look in your home. Whether you’re looking for a living room, bathroom, or bedroom, we have the resources and the knowhow to help you. This kind of service isn’t limited to our showroom; we’re glad to offer in-home service as well, and can also extend this to commercial clients. Our local flooring store also offers nationwide buying power that other places don’t. We’re part of a network that consists of 500 flooring stores and are easily able to stock some of the finest selections around. Our company is also so confident that we offer some of the strongest warranties and guarantees in the industry on some of our best products. Ask one of our associates about them and we’ll be happy to explain the details. The most important part of any flooring project or renovation is the installation work. This determines the lifespan of your floor, how well it performs, and how soon it needs repairs. Our flooring installation service is designed to make this easy on you by providing all of the tools and labor with well-trained contractors. We take care of all of the details; the only thing you have to do is schedule a convenient date and time for us to come over. Every installer we hire is courteous and considerate of customer time and property. You won’t have to worry one bit about messes left behind or having to wait for the crew to show up. We lay your flooring to last, and we do it quickly and with no disruption to the rest of your home. Investing in experienced work will make all the difference in how long you have your new floor. Contact us to schedule a consultation or measurement today. We find floors for clients in Vaughan, Mississauga, and Oakville, ON, Canada, and surrounding areas.